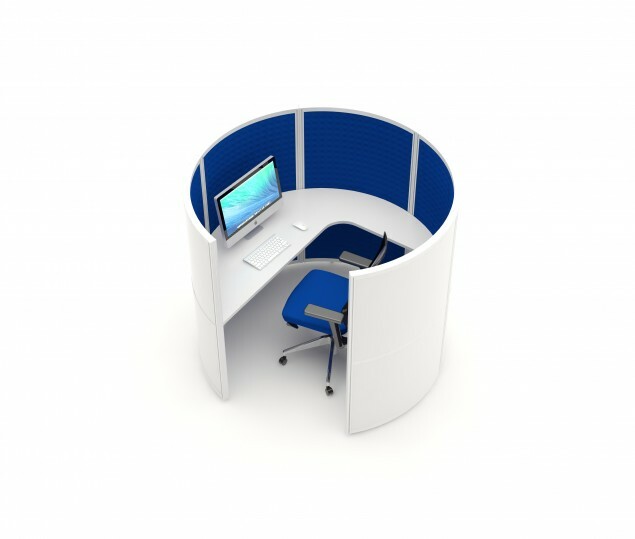 Small round acoustic pods can create an effective acoustic resource within open office areas. These are normally made at 1600mm diameter but we can manufacture other sizes. Easily Demountable and can be reconfigured. Nominal Area size required 2.01sqm.